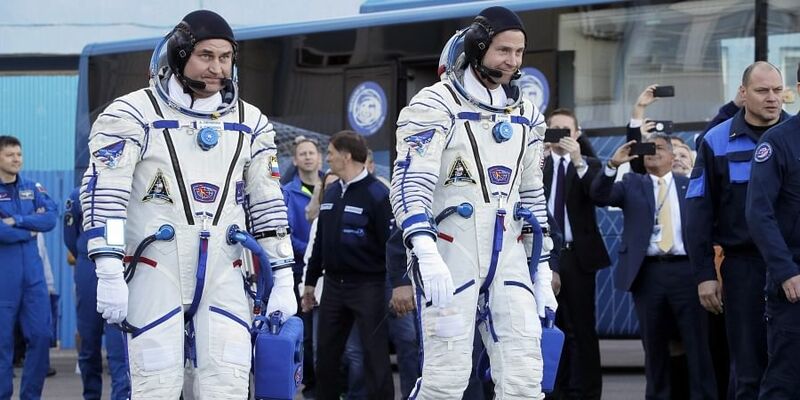 BAIKONUR: Two astronauts from the U.S. and Russia were safe after an emergency landing Thursday in the steppes of Kazakhstan following the failure of a Russian booster rocket carrying them to the International Space Station. NASA astronaut Nick Hague and Roscosmos' Alexei Ovchinin lifted off as scheduled at 2:40 p.m. (0840 GMT; 4:40 a.m. EDT) Thursday from the Russia-leased Baikonur cosmodrome in Kazakhstan atop a Soyuz booster rocket. Roscosmos and NASA said the three-stage Soyuz booster suffered an emergency shutdown of its second stage. The capsule jettisoned from the booster and went into a ballistic descent, landing at a sharper than normal angle.